IPL 2019: Delhi Capitals will kickstart their IPL 2019 campaign against Mumbai Indians on March 24 at the iconic Wankhede Stadium. 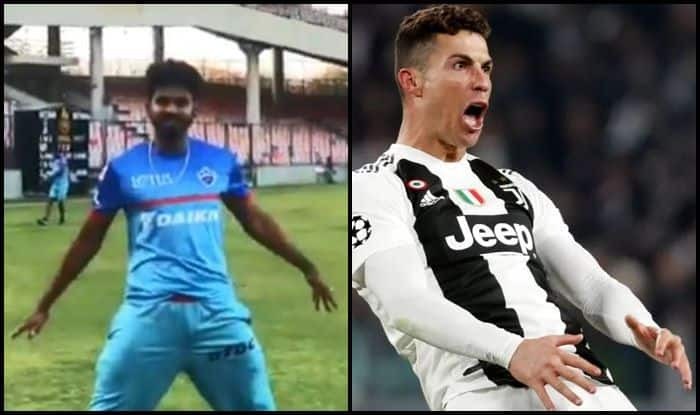 IPL 2019: Delhi Capitals captain Shreyas Iyer is a Cristiano Ronaldo fan! Fans got a glimpse of that when Iyer broke into a CR7-style celebration after taking a free-kick while Capitals camp at the Feroz Shah Kotla. Iyer took over as captain of the franchise during last season when Gautam Gambhir decided to step aside as skipper middle of the season after the Daredevils hit a slump. With a new look and a change of name, Iyer would be hoping for a change of fortune as well. Delhi Capitals is a young team with promising youngsters guided by experienced Ricky Ponting and Sourav Ganguly. Meanwhile, Delhi Capitals is one of the few franchises which has never won the title. The Capitals would play their tournament opener on Day 2 of the league when they lock horns with a formidable Mumbai Indians.